I hope this makes up for yesterday's lack of a post. 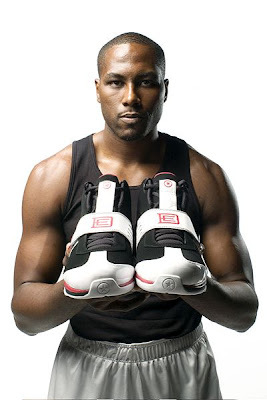 Recently in the new KICKS magazine the first pics of the Converse Elton Brand 1, or the EB1 surfaced. 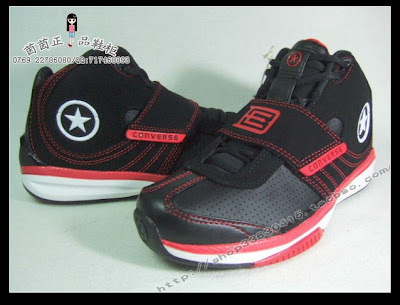 If you don't know, Elton signed with Converse last year, but due to his injuries he was only able to play a handful of games at the end of last season. 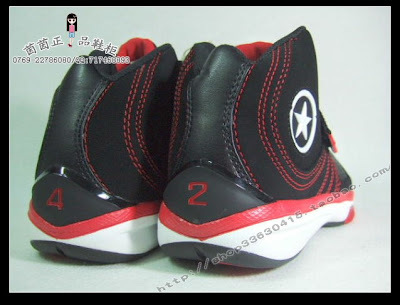 During which time he wore a couple of Converse shoes, but this year he'll have his very own signature sure. 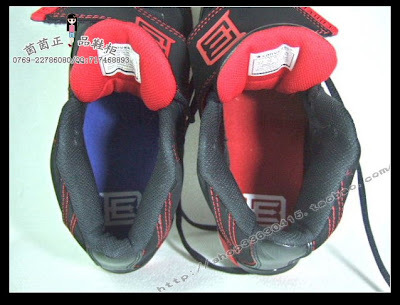 In the online sneaker community the EB1's seem to be getting more positive responses than the Wade 4.0. 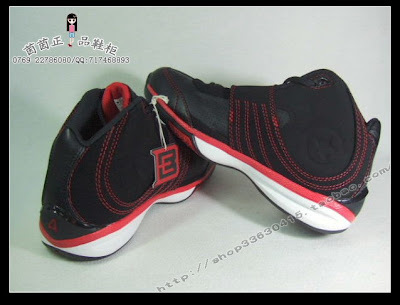 Either way, I am sure glad that there is another signature sneaker coming out from Converse and I look forward to getting in a pair of the EB1's. 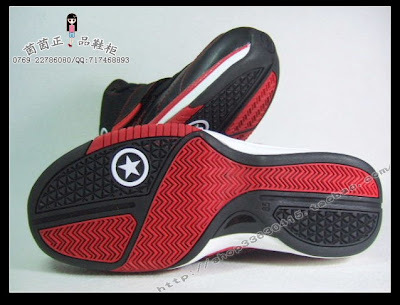 Below are some shots of the Black/White Colorway, but mostly of the Black/Black/Red colorway. I do apologize for the tagged photos, but you can still see the shoes really well. One thing I love is the use of the EB logo, it actually big enough to make out what it is. 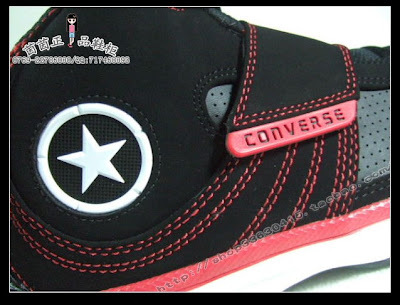 In fact, it might even be bigger than the Converse logo on the side of the shoe....well maybe not quite. 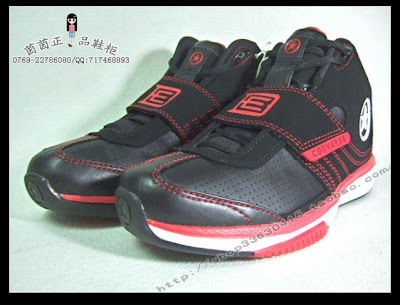 Before we go, sad news broke last night...it looks like Adidas has inked Michael Beasley. So far we've seen Adidas snag of Derrick Rose and Michael Beasley, and Nike has announced the signing of O.J. Mayo. 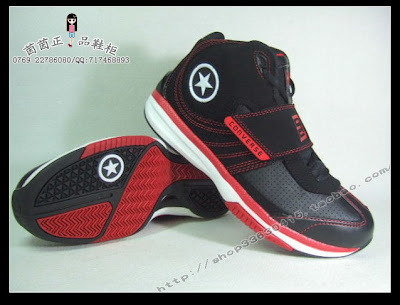 There really aren't any rumors of other rookie shoe deals let alone confirmed signings. 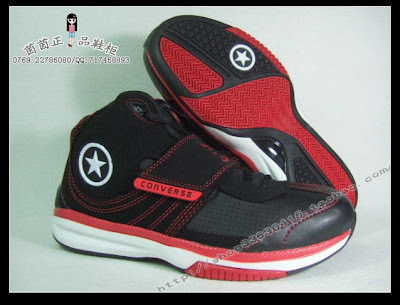 Signing Beasley would've been a gamble for Converse, so hopefully there are some other rookies out that Converse can sign. We know what happened last time Converse signed a large group of rookies, but only time will tell. Thanks for checking out the blog, and remember to vote on your way out.